The 2020 presidential campaign has to date been defined by policy ideas designed almost exclusively to appeal to people on the left and the right. That’s to be expected this early in the primaries, but it has never been more urgent for a vibrant perspective to emerge from the center. This is what The New Center aims to do in the year ahead. We have developed a policy agenda that can speak to the vast exhausted majority of Americans who want something different from the partisan fare served up by the left and right. We believe this agenda features the kind of commonsense ideas that can help a presidential candidate win the election in 2020. 181 million Americans receive health insurance through their jobs, and most are happy with it. Instead of blowing up the current health care system let’s fix the parts that don’t work. Consider a Public Option: Create a federally administered public health insurance plan that would be eligible to anyone currently enrolled in Medicaid or an insurance plan through one of the Affordable Care Act exchanges. Try Catastrophic Care for All: Enroll every American in a high-deductible health care plan that pays for basic preventive care and provides coverage for the catastrophic expenses, like accidents and serious diseases, that drive too many families to bankruptcy. Address the Doctor Shortage by expanding medical schools, removing barriers for competent foreign doctors, and empowering nurse practitioners to deliver more care. Stop the Crazy Lawsuits: Create real tort reform to prevent the “defensive medicine” that costs $100 million per year. Let Medicare Negotiate Drug Prices: The VA does it. Why can’t Medicare? Use Better Payment Models for Medicare and Medicaid: Value over volume. Require Real Price Transparency: Empower consumers to shop for the most affordable care. Treat Addicts Like Patients, Not Criminals: Only 1 in 5 people with a prescription opioid use disorder gets the care they need. Achieve Real Data Interoperability: Standardize electronic health records. The right wants to ignore climate change. The left wants to radically disrupt virtually every part of America’s economy and society to fight it. Neither approach makes sense. The only way to solve the problem is with the breakthrough energy technologies that provide the same thing that fossil fuels do: cheap, abundant, and affordable power on a massive scale. Put a Price on Carbon… and Put the Money in People’s Pockets: Put a steadily rising fee on fossil fuels with dividends rebated directly back to U.S. households each month (sometimes called “carbon fee and dividend”). Double Down on Federal R&D: Breakthrough energy technologies – including the fracking technology that made the U.S. the Saudi Arabia of natural gas – often spring from government research labs or from government grants for basic R&D. America has terrible infrastructure thanks to decades of underinvestment and red tape that makes it difficult to start and finish projects. We underspend by $200B per year, and projects that take two years to finish in Europe can take eight years in the U.S. Correctly Evaluate Our Dollars: For budget scoring purposes, Congress needs to start using capital budgets that allow the consideration of the economic return of infrastructure investments along with the cost. Create New Public Money: Funds could come from a freight tax; a one percentage point in the corporate tax rate would generate $100B over 10 years. Innovate New Financing Mechanisms: The U.S. will inevitably need private capital in addition to new public money. Options include Build America and Private Activity Bonds, more institutional (pension fund) investment, more public-private partnerships and more equity instruments (ETFs) that let individuals invest in infrastructure. Clear the Red Tape Jungle: Federal infrastructure funding should be contingent upon states and localities streamlining their permitting process. States should also be given more flexibility to spend federal infrastructure funding on the projects that they deem to be most important. America’s leading technology companies – Apple, Facebook, Amazon, Alphabet, and Microsoft – dominate their markets as thoroughly as the largest monopolies of the 20th century, and enjoy unprecedented access into our lives. They’re exemplars of American innovation, but they’ve also crossed lines that violate our privacy and threaten fair competition in our economy. Enact Federal Legislation to Protect Online Privacy: Legislation will give consumers more control over their personal data. 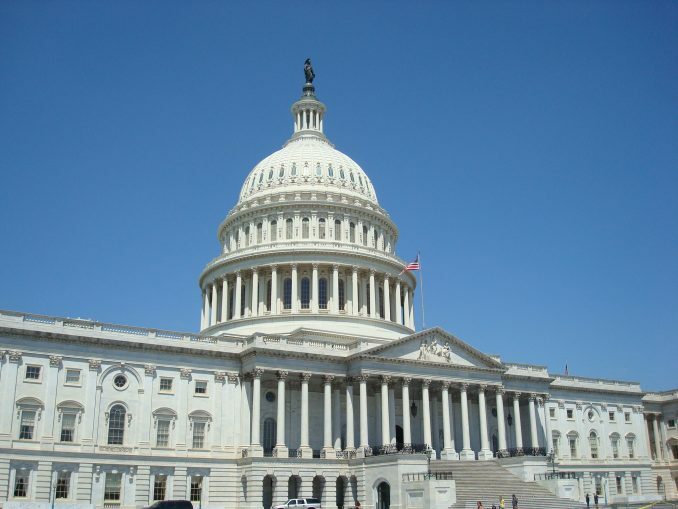 Get Smart on Tech: Congress should bring back the Office of Technology Assessment. Make the AI Accountable: The artificial intelligence that screens online content is a black box. We need real standards to make AI accountable. Work Towards Real Transparency: Establish a clear, industry-wide process for reviewing and removing material from online platforms. Urge Platform Companies to Act Like Platform Companies: In deciding what can exist on their platforms, tech companies should hew closely to the First Amendment as articulated by the U.S. Supreme Court: speech should be free unless it incites violence. Create Better Laws: The major U.S. laws governing competition – such as the Sherman Act of 1890 – were passed over a century ago. Time for a refresh. Improve Enforcement: It’s been over 20 years since the Justice Department took on Microsoft for its anticompetitive practices. Despite similar behavior from today’s tech giants, no case of comparable impact has been brought since. Consider AT&T, an Analogue Solution for Our Digital Economy: In 1956, the U.S. Justice Department allowed AT&T to maintain its phone monopoly in exchange for a large concession: AT&T would have to license any past patents royalty-free to any U.S. company. The government might consider a similar action with today’s tech behemoths. Is the American Dream still alive? It depends on who you ask. The next president should endorse policies supporting the features of a U.S. economy that work for Americans, but with a more targeted focus on Americans who are unquestionably left behind. Make Work Pay: Motivate those who could otherwise join the workforce to do so, with ideas including: expansion of the earned income tax credit, wage subsidy pilots, and reforms to disability and unemployment insurance. Create a Workforce for the Future: Displaced workers need more help finding work in different industries via a new training tax credit and federal financial aid for career education. Federal financial aid should target the low- and middle-income students who need it most. Help Working Families: One in five American families spends more than a quarter of their income on child care. Ideas to ease the burden include subsidized family leave and an expanded child care tax credit. Help Americans Go to Where the Jobs Are: Expand the availability of financial support for individuals who want to make long-distance moves to places promising greater economic opportunity. Ease the College Debt Burden: Loan repayment terms should be longer and tied to income. Incentivize College Completion: More aid should go to schools that help students finish rather than just start school. Give Workers a Fair Share: Incentivize companies to implement more profit-sharing plans. Equip Students with Skills for 21st Century Jobs: Provide universal computer science education to middle and high schoolers along with new avenues for worker accreditation. Educational funding should go toward majors that produce workers who will fill projected job shortages. Give a Second Chance to Get Ahead: Give education and job training to the previously incarcerated. Boost Small Businesses: Create a regulatory roadmap for entrepreneurs and expand the Community Reinvestment Act and the Rural Business Investment Program. America’s immigration system has not been comprehensively reformed since 1965. The following grand bargain could meet both the policy and political imperatives of the current moment. Shift Towards More Employment-Based Immigration: The U.S. currently admits almost five times as many immigrants for family-based reasons as employment-related ones. We should shift our targets closer to those from countries like Canada, which has an almost equal split. Get the Undocumented out of the Shadows: The 11 million unauthorized immigrants living in the U.S. should be offered a long and rigorous road toward citizenship. Build a Wall Where It Works: It is essential to have a fortified border – with fencing, walls, and natural barriers – that allows the U.S. to reliably and consistently prevent unauthorized entry. Get Serious about Internal Immigration Enforcement and Detention: There are more illegal immigrants who came to the U.S. legally but became illegal by overstaying their visas than there are unauthorized border crossers. Employers need to take the lead in cracking down on visa overstays with E-Verify. Meanwhile, ICE needs to clean up the abuse in its internal detention system, which includes banning the use of private prisons. Let the Kids Stay: On average, Dreamers were brought to the U.S. by their parents when they were six years old, and 97% of them are working or in school. This phrase aptly describes how both Democratic and Republican presidential candidates apparently plan to pay for their promises and reduce our massive national debt. In short, they don’t have a plan. Dealing with the debt requires Congress and the president to come to the table even if they don’t want to. Create a Fiscal Responsibility Act: This would implement a new public debt/GDP limit that could only be violated with a formal declaration of war or a supermajority vote of both houses of Congress and the signature of the president. No Budget, No Pay: If Congress can’t make spending and budget decisions on time, its members should not get paid. Consider Biennial Budgeting: Congress should establish a two-year “biennial” budgeting cycle for the U.S. government, which would enable members to focus more on long-term strategic planning. Establish an Annual Fiscal Report: Every year, a nonpartisan leader such as the comptroller general should deliver a televised fiscal update in-person to a joint session of Congress. Our political system – the process through which we elect our leaders, and the rules they labor under once they get elected – is broken. That means that even if America is lucky enough to see a perfect storm in which we elect good leaders with good ideas, we can still get bad results. Here are two big ideas to reform American politics. Create a National Primary Day: Primary elections are every bit – if not more – important than general elections, but turnout is low and dominated by extremists on both sides. Boost turnout across the political spectrum by creating one National Primary Day. End the Supreme Court Circus: Eliminate lifetime appointments to the Court and have justices serve one 18-year term.